Hi and Welcome to How To Be Happy Blog. If you are here, chances are that you probably are in the pursuit of your happiness and you are struggling to be happy or, you are just curious, either way, if you keep reading you might end up with more happiness in your life. For whatever reasons you are here, don’t worry, we all are in the research of happiness, be happy is pretty much a common goal for most of the people. 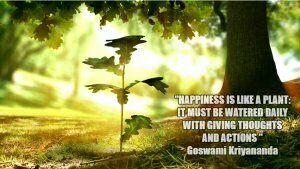 The purpose of this Blog is to help you to learn how to be happy and yes, it is possible, in fact, has been proved by various studies, that happiness is an inside job, is a way of life, a product of our own minds. 10% surprisingly only by our circumstances, which include our job, our financial situation, our social status, where we live, etc. Consequently, if we focus on our daily activities we can improve the level of our happiness. “How To Be Happy” is here to give you a good general understanding of happiness and to help you to discover new activities that, if practiced daily, can keep your happiness level up. I would like to end this brief introduction saying that, life is not discovering ourselves but building ourselves through a personal growth. If we want to be happy and live a happier life, we need to take responsibility, accept and believe we are the creators of our lives and take daily actions.